These gorgeous gold chain drop earring by Adorne are a great selection for your next cocktail party event or birthday dinner function. To add to your gorgeous earrings rent to a sheer ruffled playsuit or free flowing midi dress. Featuring a stud with backing for pierced ears. 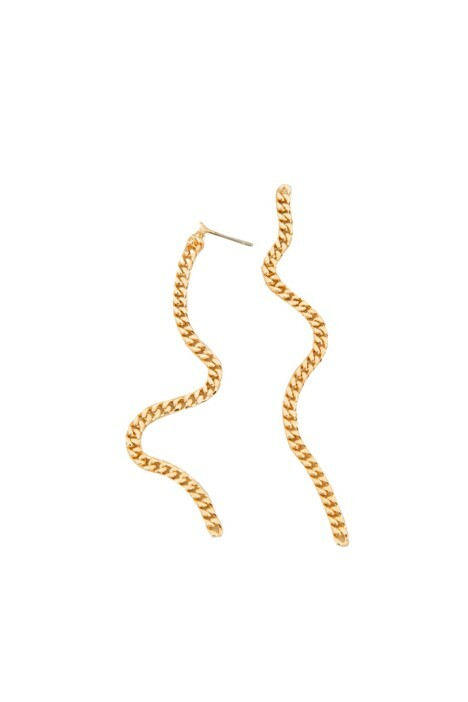 You’ll feel right on trend with our flat chain drop earrings! Keep your look extra bold with a sleeked back hairstyle and bronzed features. To complete, add a pair of strappy gold heels and a statement gold clutch available to hire. For more tips read our ‘Transform Your Friday Night Look With Our Top 5 Accessories’ blog post.